Club Brugge vs Borussia Dortmund predictions ahead of this Champions League clash on Tuesday night. Can the German side start with three points? Read on for our match preview and free betting tips. After a dismal campaign in Europe last season, Borussia Dortmund are hoping for a fresh start under Lucien Favre. They’ve already kicked off the new Bundesliga season with some strong results, but can they return from Belgium with all three points? Dortmund visit Club Brugge this week, kicking off their Champions League campaign. With Monaco and Atletico rivalling Dortmund for a top two finish, Group A looks like one of the most competitive in the competition. Can the Germans make a perfect start to their push for a last 16 place? The hosts are the early pacesetters in Belgium, kicking off with six wins and a draw from their first seven. That unbeaten start will have given them plenty of confidence, but it’s going to be tough for them to bridge the gap between Dortmund, Monaco and Atletico. The Belgians will hope that the trio all repeat their failings of last season – with each side failing to make it out of their group. However, they’re unlikely to underperform again. The visitors have certainly steadied the ship following last season’s failings. The Bundesliga outfit finished a distant third behind Tottenham and Real Madrid, before going out in the second knockout round of the Europa League to Red Bull Salzburg. 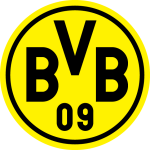 Both of those finishes were considered poor for Dortmund, who limped in to fourth place in the Bundesliga last term. That’s unlikely to happen this time around, with Favre invigorating the squad and putting in an early challenge to Bayern. Dortmund have won two of their first three matches, claiming victories over Leipzig and Frankfurt. They will expect to improve on their Champions League campaign of 12 months ago, when they failed to win any of their six games. Favre’s side look much better prepared, and they should get some joy away to a Brugge side who have an awful record in this competition. The Belgians have lost nine of their last 10 matches in the Champions League. Their last clash here saw them draw 3-3 with Istanbul Basaksehir, which followed four straight defeats to the likes of Copenhagen and Leicester. While the hosts have started well, we’re going with an away win for Dortmund. We’re also tipping the visitors to win and both teams to score, with BTTS landing in nine straight Champions League ties for Dortmund. The hosts should have enough quality to find the net after averaging 2.7 goals per game in the league this term, although the step up to Europe’s highest level should be too much for them. Club Brugge have faced Borussia Dortmund during the qualifying phase of the Champions League, knocking out the German side over two legs in the final round back in 2003/04. Borussia Dortmund’s biggest ever defeat away from home in major European competition came at the hands of Club Brugge, losing 0-5 in the last 16 of the UEFA Cup in December 1987. Borussia Dortmund won their most recent clash with Club Brugge 2-1 in their home second leg of a Champions League qualifier back in August 2003, before losing 2-4 on penalties to the Belgian side. 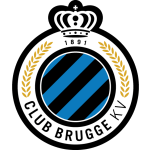 Club Brugge are making their sixth Champions League appearance, the second-most for a Belgian club after Anderlecht (12). Borussia Dortmund have reached the knockout stages in four of their last five Champions League campaigns, the only exception coming last season when they finished third in their group. Club Brugge and Borussia Dortmund are two of the four sides competing in this season’s Champions League to be on the longest current winless run in the competition (eight matches) alongside PSV Eindhoven and Monaco. Only Benfica (7) are on a longer current losing run in the Champions League among sides in this seasons competition than Club Brugge (6). Borussia Dortmund’s Marco Reus has scored 12 goals and delivered four assists in his last 16 Champions League games. Jelle Vossen was directly involved in Club Brugge’s only two goals in their last Champions League participation in 2016/17 (1 goal, 1 assist).